文献：Riordan JM, Nichols FH. A descriptive study of lactation mastitis in long-term breast feeding women. J Hum Lact. 1990 Jun;6(2):53-8. 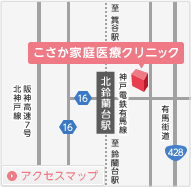 Copyright(C) こさか家庭医療クリニック. All Rights Reserved.